Kerby Independent Tractor ServiceRecord Owner? Log in. 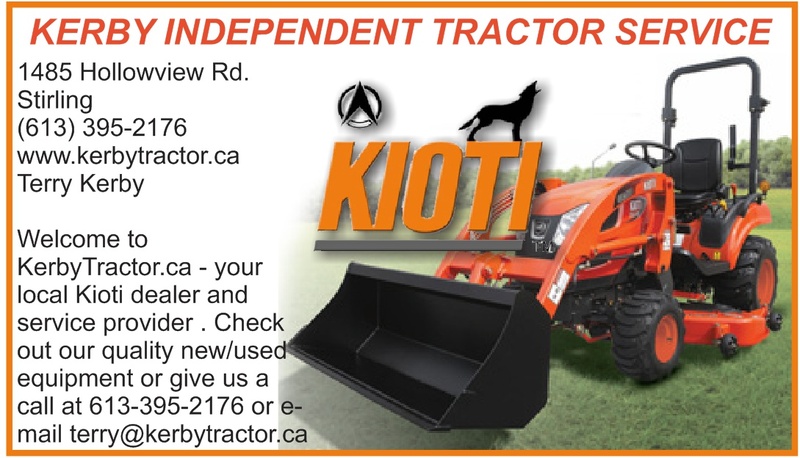 Welcome to KerbyTractor.ca - your local Kioti dealer and service provider . Check out our quality new/used equipment or give us a call at 613-395-2176 or e-mail terry@kerbytractor.ca and one of our friendly, knowledgeable staff will be happy to help! Have something to say about Kerby Independent Tractor Service?